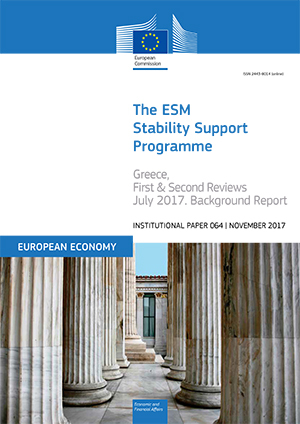 This report contains background analysis related to the design of the August 2015 ESM stability support programme for Greece and the implementation of the programme up to the conclusion of the second review in July 2017. Institutional Paper 064. November 2017. Brussels. PDF. 196pp. Tab. Graph. Bibliogr. Free.